This comfy infant pajama set bundle is perfect for matching family photos, holiday parties, special events and so much more. Customize the t-shirt with your very own design or even upload a favorite photo to create something unique and one of a kind. 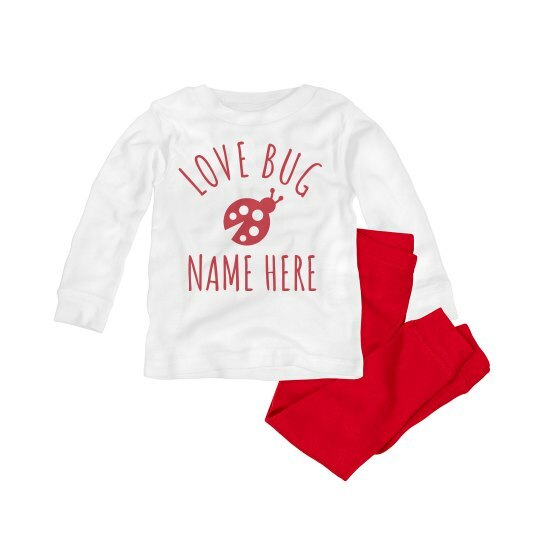 Fall in love with this love bug PJs and custom text it with names of the most lovable person in the world! Sleeping in style and comfort has never been this cute!